Bio: not much is known expect they can speak. Abilities: Flight( from wings), sharp claws that can rip though flesh. Strengths: Attacks in groups, with a large enough can pick up anything, sharp claws. Weaknesses: Shiny things, low endrance, cowards when alone. Bio: Minotaurs are known for their strengh, In fact they are one of the strongest man beast. They crave for flesh of humans. Shinji held the door open for kin." Ladies first.."
Shinji walked carrying two duffle bags, filled with thing he thought he would need. He couldn't hear a thing from the world around, the music he was listening to drawning it. The sounds of Bob dylan the times they are changing could be heard from his headphones if some came within 10 feet of him. 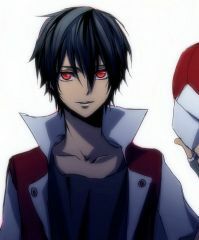 "Just another thing to add to the list.." he stood up and looked around. Sliver city? Didn't he hate this place? He visibly shruged as if some ask him the question. He was not in the best of states mentality wise, shinji walked his foot steps echoed in his mind. He lifted his and more pain shot though his body, for a beif second he welcomed the pain. Where was he again? Platinum city? Gold city? Save me a donut City? No, none of those sounded right. But he could go for a donut, glazed. His favorite." Name... Shinji Hado, Age..15" he reminded himself. Things were becoming hard to remember the basic, so the basic said out loud to remind himself. He took another step and fall, his body refused to listen the pain well it hurted. He chuckled again." Right because pain does not hurt.." he rolled himself over and stared at the night sky. With a blinding, a portal open. Sato walked out frrom the portal, with a deep breath anyone coule tell he relax. It was like a tension was released, he smiled and his voice was much more kinder." Miss anihe, are you ready to meet ruko father?" Shinji sat a table, books stacked around him. Instead of the normal books about magic related things all of the books had one thing in common . How to survive stranded in a boat.